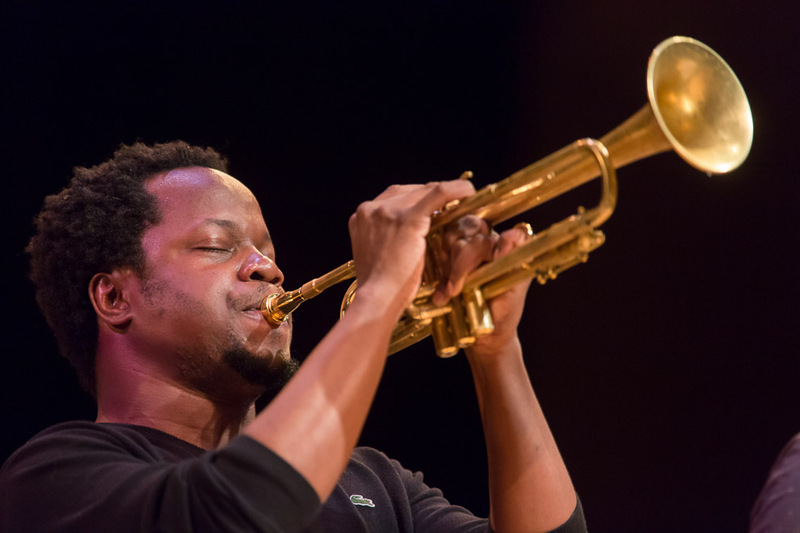 Blue Note recording artist Ambrose Akinmusire is a trumpeter and composer who has gone from strength to strength since winning the 2007 Thelonious Monk International Jazz Competition and the 2007 Carmine Caruso International Jazz Trumpet Solo Competition. He has since taken such honors as DownBeat’s 2012 trumpeter of the year title, and several others. As that would suggest, his albums, including When the Heart Emerges Glistening and the imagined savior is far easier to paint, both on Blue Note, have won critical acclaim. His forward-reaching compositions have earned him a commission from New York’s Jazz Gallery and grants from the Rockefeller Foundation’s MAP Fund and Chamber Music America’s French-American Jazz Exchange Program. In 2011, he debuted his star-studded Big Band on one of the world’s most renowned stages, Carnegie Hall. The following year he was named Artist-in-Residence at the 55th annual Monterey Jazz Festival. The latest Blue Note album of the forward-thinking, Oakland-raised musician “with a bent toward atmospheric post-bop,” as Blue Note puts it, was out in March: the imagined savior is far easier to paint. 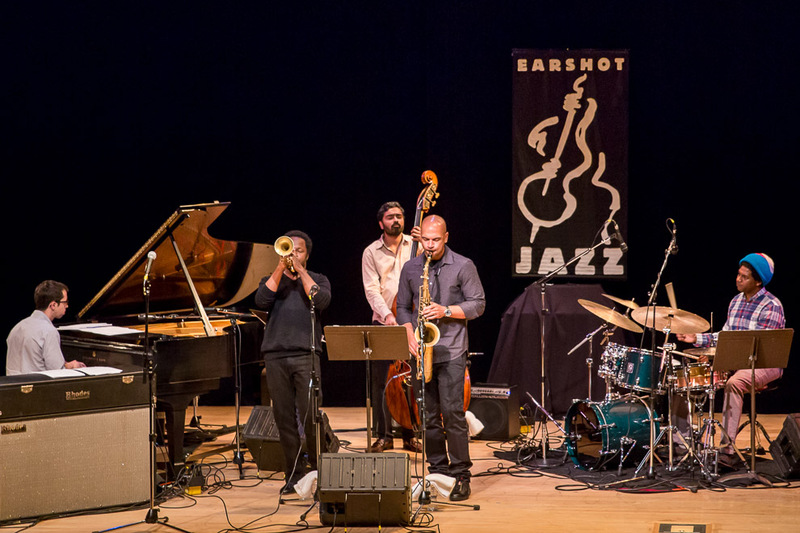 His quintet collaborators are Walter Smith (tenor sax), Sam Harris (piano), Harish Raghavan (bass), and Justin Brown (drums). This entry was posted on Wednesday, July 23rd, 2014 at 1:35 pm	and is filed under JAZZ, Uncategorized and tagged with Jazz Photographer, Jazz Photography, Seattle Photographers. You can follow any responses to this entry through the RSS 2.0 feed.